All the best cuts on one CD - plus a couple never previously available on any other Hayley albums! Check out the Just Brothers stomping 'Honey' complete with strings! A cracking album that can help you relax and react to some wonderful music.If you let the album play through there's a nice surprise in there too! If you like the mega rare and impossible to find then this collection is for you! Sy and Almeta should do the trick but look what else lurks within. Third time lucky for new and seasoned Hayley listeners alike …and more soulful samples to whet your appetites too. Listen up. 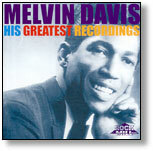 More unreleased gems …and at the same sky high standard! Some big names here too. We’re not just blowing our own trumpet – listen to the five selected cuts and make your own mind up. AINT THAT SOMETHING! 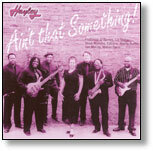 Our very first collection…the one that put HAYLEY on the soul map! 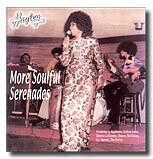 15 RARE and PREVIOUSLY UNRELEASED Soulful Serenades! Listen for yourself. Samples from five tracks have been specially selected to provide a taste of this essential album - 15 RARE and PREVIOUSLY UNRELEASED Soulful Serenades! This comprehensive collection showcases his incredible talent as singer, writer, producer and musician from the 1960s until the present day.